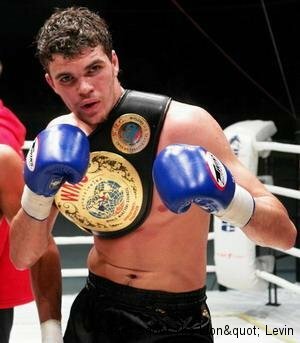 Artem Levin after recently winning an It’s Showtime belt in December 18th, 2010 against L’Houcine Ouzgni by stoppage from a TKO in Amsterdam, Holland. Levin faces K-1 name and Thai international nak muay Kaoklai Kaenorsing from the February 23, 2011 event in Chelyabinsk, Russia. Much thanks to KARMELMMArts for the uploads of the videos.